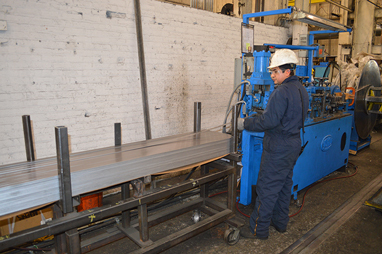 MD Metals can offer edge conditioned flat bar / strips at competitive prices. We fill orders of flat bar / strips from 1000 lbs to truck load quantities with almost any combination of grades, widths, lengths and gauges. We possess a wide variety of unique cut-to-length capabilities. 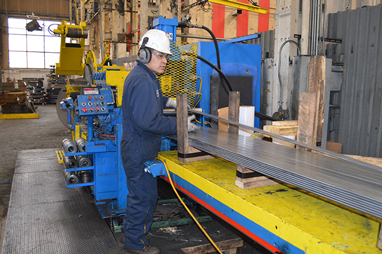 All of our cut-to-length flat bar products can be produced to any custom length needed. Instead of buying standard size flat bar or strip, reduce scrap and purchase material cut to your exact length. From light to heavy gauge we can produce flat bar with completely square or round edges. We can offer flat bar / strips from .040 – .750″ thick and .500 – 12.00″ wide to almost any custom length you need. We produce flat bar in HR, HRPO, CR, galvanized and alloy grades including 1008, 1010, 1018, A36, HSLA Grade 50, AR-200, AR-400, 4140, 4130, 8620 and 5120 among others. To learn more about MD Metal’s cut-to-length flat bar capabilities, call 708-728-0005 or contact us today!